The construction of braided silicone enables the tubing to handle increased pressure applications. Reinforced silicone offers outstanding resistance to temperature extremes and is made from FDA-sanctioned ingredients. 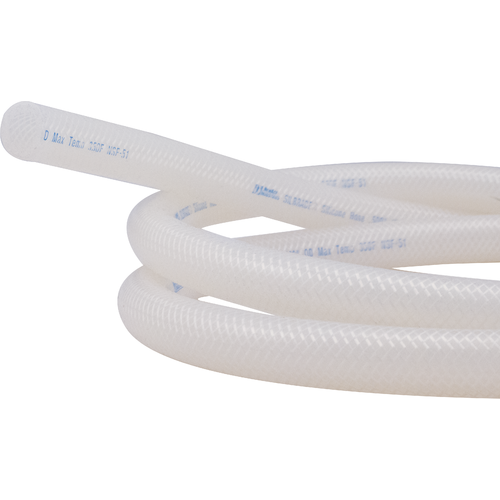 The flexible design and construction of this tubing allows excellent bend radii and permits installation in restricted spaces without impeding flow.